Mia Biberović 13. 9. 2013. LAUNCHub, Bulgarian 9 million euro seed fund, kicked off the business season early in September with five new companies on board. Greek codebender together with Bulgarian StatAce, EdHub, Play for Job, Cloudrunner are the newcomers opening the season. In addition to these five investments, the fund also completed two follow-on investments in two of its portfolio companies Dragon Inside and Deed in the beginning of the month. Greek codebender together with Bulgarian StatAce, EdHub, Play for Job, Cloudrunner are the newcomers opening the season. LAUNCHub, Bulgarian 9 million euro seed fund, kicked off the business season early in September with five new companies on board. 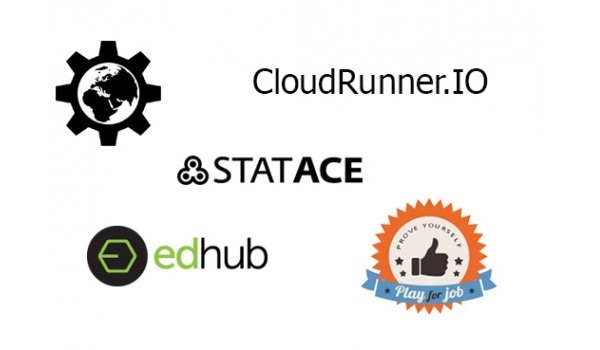 Greek codebender together with Bulgarian StatAce, EdHub, Play for Job, Cloudrunner are the newcomers opening the season. In addition to these five investments, the fund also completed two follow-on investments in two of its portfolio companies Dragon Inside and Deed in the beginning of the month. As of today, LAUNCHub has invested in 25 companies from 5 countries in the Balkan region – Bulgaria, Macedonia, Croatia, Romania and Greece. We are aiming to find the most promising entrepreneurs in the digital domain in Southern and Eastern Europe. The selection process with LAUNCHub is organized on an all-year-round basis. We are constantly reviewing applications from all over the region and we are open for new investment opportunities. The selection process includes also our participation in events and a lot of networking to meet the best teams. Since the fund became operational we have reviewed more than 1000 investment opportunities mainly from Bulgaria, Macedonia, Romania, Croatia and the SEE region. Looking back eighteen months ago, the general perception on the Bulgarian startup ecosystem nowadays does seem to have changed quite significantly moving and developing into a positive direction. There are now over 60 startup companies comprising the portfolios of the two major funds, LAUNCHub and Eleven. The first next-round investment is already on track with more to follow. The past year was also marked by two big events that took place in Sofia – DigitalK and the Balkan Venture Forum, followed by several warm-up events to major European startup conferences – Pirates on Shore: The Balkans, Pioneers Unplugged and Techcrunch Balkans. These events paved the way for the visits of major venture capital funds including Balderton Capital, Connect Ventures, Speedinvest, Earlybird, Blackbox, Intel Capital, 3TS and more. LAUNCHub’s management states that, in general, Bulgaria is said to stand out by VC representatives in comparison to counties like the Czech Republic and Hungary. Things are moving and achievements do seem to be quite promising. With all the financing initiatives there are facilities in amount of over 60 million Euro available to tech startups in Bulgaria and the region. In the same time, business angels are starting to play a more important role in the local investment process. Codebender is an online development platform for embedded hardware users, such as electronics hobbyists, makers, interaction design artists and professional engineers. StatAce is a collaborative, affordable and scalable online statistical analysis software. Play for Job is a gamified job platform aiming to improve the overall process of job offering and recruitment. Еdhub is a platform that provides unified access to K12 data for software developers and helps schools benefit from the innovation in educational technology. Cloudrunner is an IT infrastructure automation framework that helps DevOps in IT organizations to manage and understand IT infrastructure throughout its lifecycle. CloudRunner takes systems from build and test to deploy, configure, manage and audit. Mia is the Executive Editor of Netokracija. Social media and digital marketing are her favorite topics, but she also writes about new technology and its impact on our everyday lives, local and global startups and their innovations. One of the most influential women in the Croatian startup community (according to CESA Awards) and the best Croatian IT journalist in 2015.